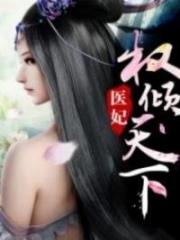 You’re reading novel The Demonic King Chases His Wife: The Rebellious Good-for-Nothing Miss Chapter 484 online at LightNovelFree.com. Please use the follow button to get notification about the latest chapter next time when you visit LightNovelFree.com. Use F11 button to read novel in full-screen(PC only). Drop by anytime you want to read free – fast – latest novel. It’s great if you could leave a comment, share your opinion about the new chapters, new novel with others on the internet. We’ll do our best to bring you the finest, latest novel everyday. Enjoy! Su Luo lowered her head to look at the stone she gripped in her hand, which had already changed into a cold chunk of jade. Su Luo was astonished to discover that ever since she held onto this strange stone, afterwards, the threatening roasting heat in her body from the hot flames was actually absorbed by it, thread by thread. Thus, the pressure on her was diminished and eventually stopped. This was unlikely to be real, right? Su Luo’s heart was both happy, amazed, and stupefied by this nice surprise that suddenly occurred. If it was really like this, then doesn’t it mean that as long as she held onto the stone, she wouldn’t have to worry about the high temperature? Which now was at a degree that was like peeling the skin off human flesh in the cave of flames? That they could continue to survive in this cave of flames? Nangong Liuyun saw Su Luo standing at the original place with a foolish blank expression, the corner of her mouth pointed up slightly, appearing to be pleasantly surprised, excited and also with an incredulous expression. He couldn’t help but be a little surprised. Su Luo lifted her head to look towards him, her clear, monochrome, limpid eyes were br.i.m.m.i.n.g with joy. Nangong Liuyun took the offered stone. Before he could start using his spirit force, he discovered that the hot flames around his body unexpectedly flowed into the stone like the bubbling of creek water. The temperature in the air was abruptly lowered to some extent. Nangong Liuyun earnestly, prudently and with a very serious expression, stared at Su Luo, stressing each word, warning her. Even though his words were solemn, however, his heart was exceptionally happy, happier than if he was the one who got a treasure. The heatwave in this cave of flames rushed to the sky with a scorching hot breath. He could hold on, but his Luo girl, even with his spirit power pouring into her, might not necessarily be able to withstand the heat. But now, everything was good. With this chunk of rock that could automatically absorb the heat, as long as the stone was not lost, his Luo girl would be safe and secure. “Okay.” Su Luo nodded her head seriously and tightly clenched onto that stone. “This chunk of stone was still something I accidentally kicked in the Amethyst Fish Palace. Originally, I thought it was useless, and picked it up in pa.s.sing, but who would have imagined that now, it would be so useful.” Su Luo’s eyes squinted slightly with a smile that showed she was extremely pleased with herself. “Alas, girl, this luck of yours…” Nangong Liuyun rubbed Su Luo’s head, momentarily, he was speechless and also didn’t know whether to laugh or cry. If it came to luck, all the people in front of her would be completely defeated. “Luck is also a part of strength, this proves my strength is also pretty good.” Su Luo said with some self-satisfaction. “That is actually a fact.” Su Luo secretly breathed out a sigh, her strength was indeed too lacking. Now, the people that were active around her, even the worst was at fifth or sixth rank, while she was still pitifully at the peak of third rank. How could you ask her to continue muddling along with them? “Therefore, we shouldn’t be in a hurry to go out. First, I should single-mindedly cultivate for a period of time in this cave of flames.” Su Luo made a fist and solemnly said. You're reading novel The Demonic King Chases His Wife: The Rebellious Good-for-Nothing Miss Chapter 484 online at LightNovelFree.com. You can use the follow function to bookmark your favorite novel ( Only for registered users ). If you find any errors ( broken links, can't load photos, etc.. ), Please let us know so we can fix it as soon as possible. And when you start a conversation or debate about a certain topic with other people, please do not offend them just because you don't like their opinions. You're reading The Demonic King Chases His Wife: The Rebellious Good-for-Nothing Miss Chapter 484. This novel has been translated by Updating. Author: Su Xiao Nuan,苏小暖 already has 12459 views. Current Time is Apr-26-2019 16:03:08 PM.